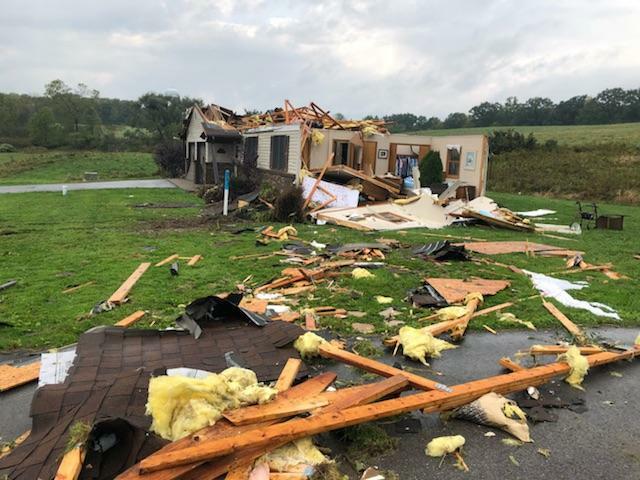 Damage to a house from an EF-2 tornado near Conneautville, PA. Credit: NWS Cleveland. On October 2, 13 tornadoes touched down in Pennsylvania - four EF-0 tornadoes, six EF-1s, and three EF-2s. Data from the National Centers for Environmental Information show this is the largest single-day tornado outbreak since June 2, 1998 when more than 20 tornadoes touched down. Pennsylvania averages only 15 tornadoes for an entire year. This event was particularly rare for October. Pennsylvania averages zero tornadoes during October, and from 1950 to 2017, the state had only recorded a total of 13 October tornadoes. 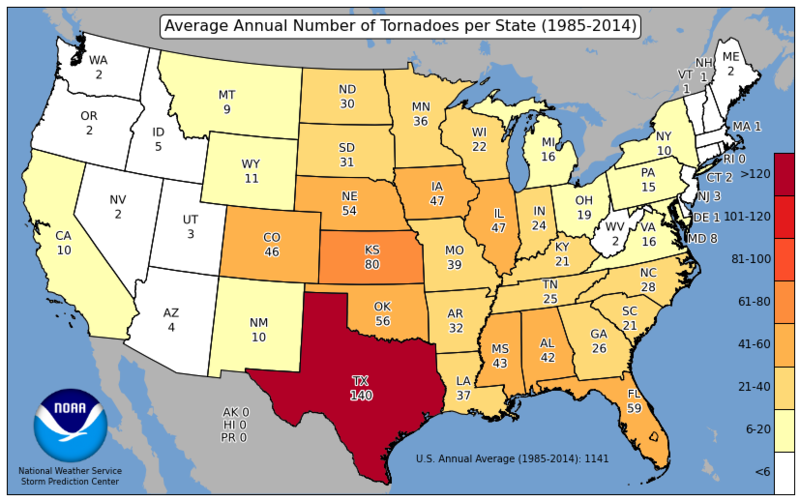 The last time the state had an EF-2 tornado in October was more than 25 years ago. The tornado count for Pennsylvania may go up as storm surveys are still underway. 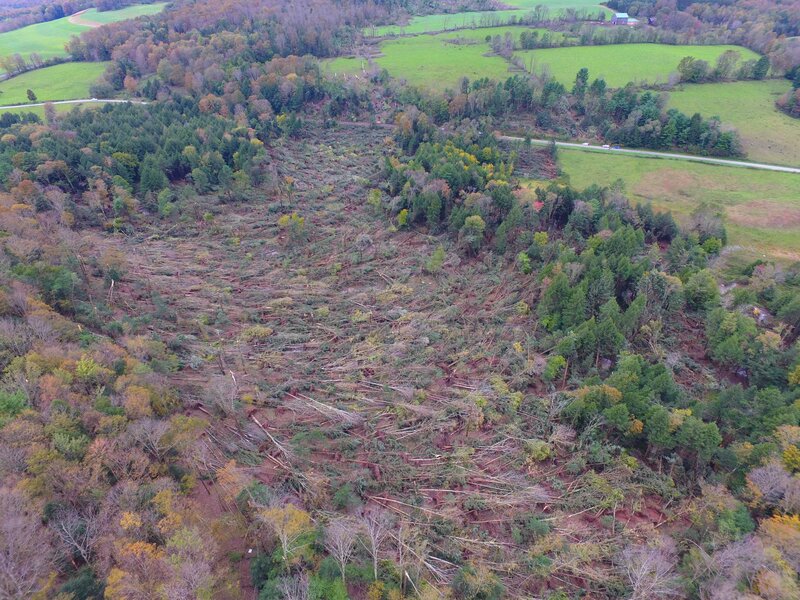 Trees flattened by an EF-2 tornado near Liberty, PA. Credit: NWS State College. There were also three tornadoes in southeastern New York (an EF-0 and two EF-2s) and two in Connecticut (an EF-0 and an EF-1). 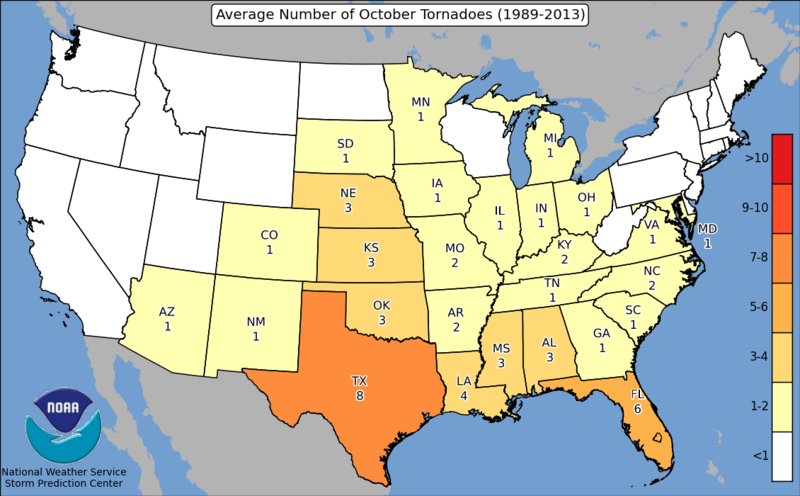 Both states average zero tornadoes during October. Prior to these tornadoes, New York had only recorded 10 October tornadoes and Connecticut had only recorded four. In fact, Connecticut hasn’t had an October tornado since 1979. 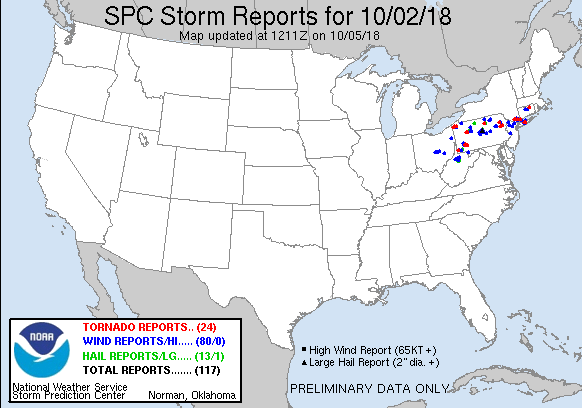 Tornado (red), wind (blue), and hail (green) reports from October 2. Tornadoes can happen any time of the year, but the peak time is generally May through August. EF-0 and EF-1 tornadoes are the most common, but the region has experienced tornadoes of every strength. 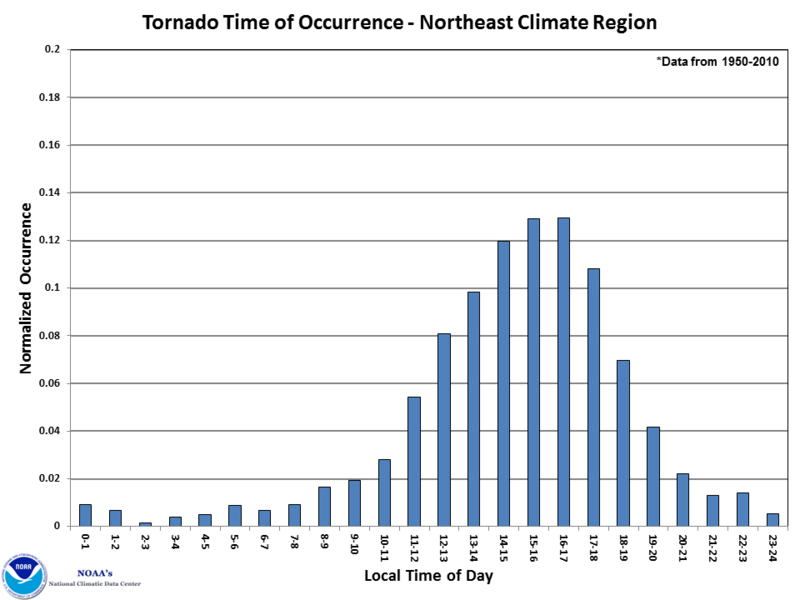 Afternoon and evening tend to be the peak hours for tornado activity in the Northeast, which is when all but one of the tornadoes touched down on October 2. In addition to the tornadoes, golf ball sized hail was reported, and heavy rain caused flash flooding.